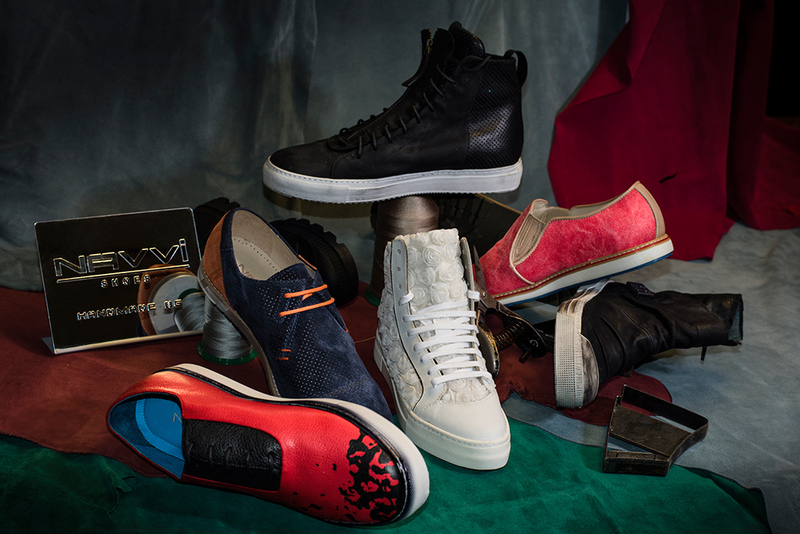 NAVVI is a footwear label aiming to combine avant-garde fashion with everyday style. Using its years of experience as a leading company producing footwear for trending Italian brands, the company creates its own brand under the name NAVVI in 2004. Since then the fashion sense and design style of NAVVI received public recognition and international interest. In order to capture the essence of luxury and comfort, the brand creates women’s and men’s footwear lines designed to meet the various needs of modern ladies and gentlemen made entirely of best quality genuine leather. The brand established itself as a luxurious shoe brand rapidly gaining recognition on its creativity, innovation and style. NAVVI is giving its designs a special attention to the very last detail. All materials are manufactured in Italy. Handmade, quality and uniqueness of the product outline the identity of the brand.